Super early-bird ticket pricing ends Friday! 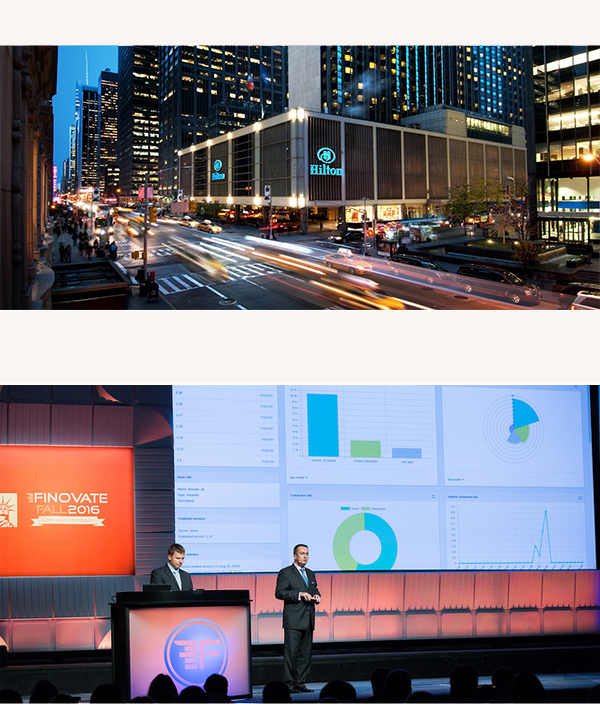 Join the fintech elite back in NYC for a brand new, expanded FinovateFall conference. The first two days follow the traditional Finovate format where 70+ innovative fintech companies will have 7 minutes to demo their latest solutions live (no slides or videos allowed). For the first time in Finovate history, we’ve doubled the content to four days. Stick around for two days of business-altering dialogue, discussion and decision-making about the trends driving fintech. Turn light-bulb moments into real-world action and leave with dozens of new ideas for your 2018 product roadmap and strategic planning. This is the best deal you’ll see for this event, so register now. Space is limited – make sure to lock in your spot (and the savings) today! Make the most of the business opportunities available at FinovateFall 2017 by becoming an event sponsor. We can provide flexible and tailored solutions to maximize your time at the event and ensure you meet your business goals. For more information please contact Victor Cruz via email or call: +44 (20) 701 75593.